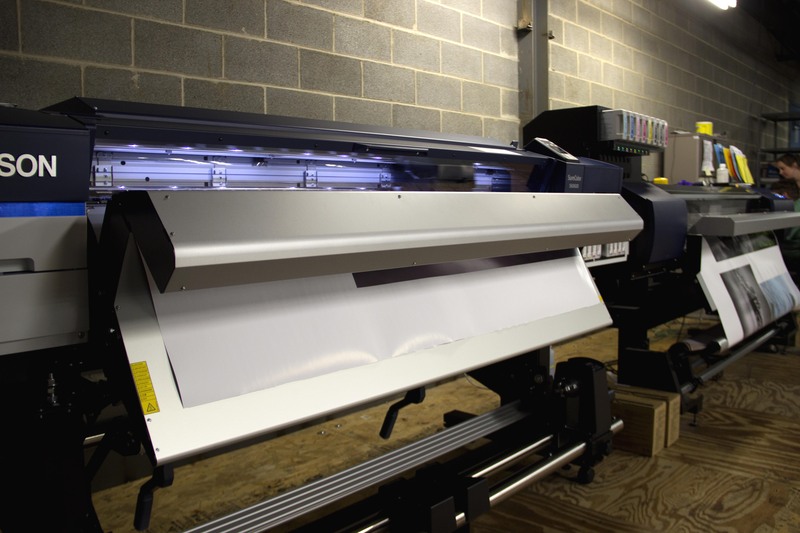 Home » New Large Format Printer Means Double the Productivity! New Large Format Printer Means Double the Productivity! The Frame USA print production team has gotten a major upgrade! With our new canvas art prints available on amazon.com we needed to improve and increase our technology in order to give our customers the best product and the fastest service. 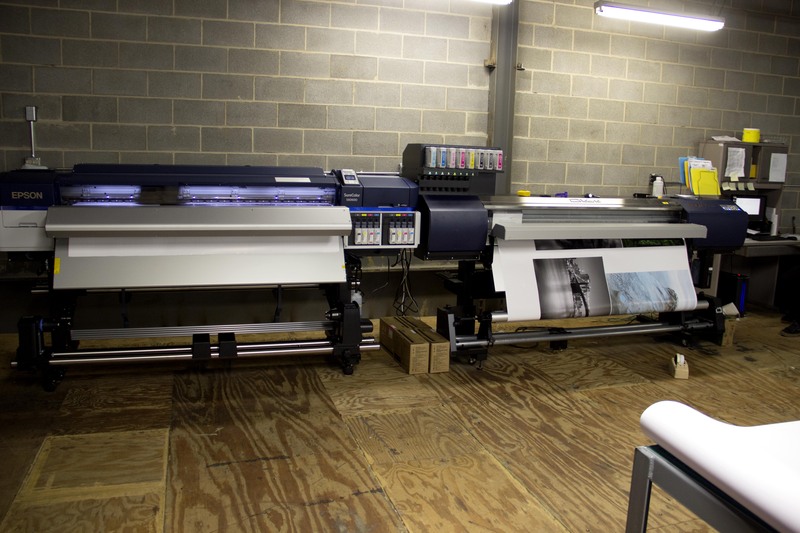 On the right in the photo above is our Roland Soljet EJ-640 printer. Until last week, the Roland was working hard on it’s own to print all of our artwork orders. But as you can see, it’s now accompanied by the Epson SureColor S60600, allowing us to print two rolls of artwork at once! Our new Epson printer has easier maintenance and a faster printing speed. This means very little trouble shooting and lots of printing being done! Since our art prints are printed in our facilities in Cincinnati, OH, this allows our employees to efficiently make, package, and ship all of our orders. We are dedicated to keeping our products made in the USA and creating more jobs for Americans! Be sure to check out our amazon store here for a large selection of beautiful art prints and photography ready to hang in your home.